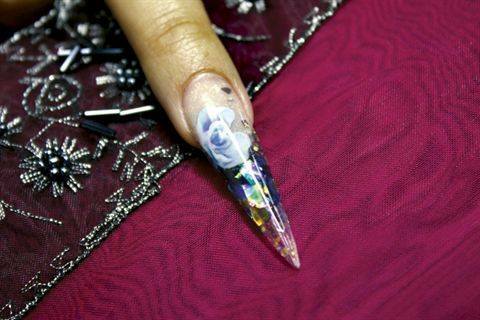 Catherine Wong gives NAILS readers a peak into her step-by-step nail art books. 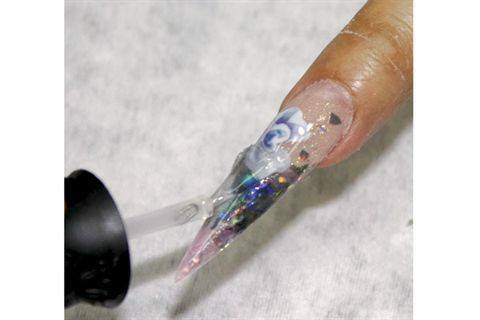 Buy Nail It! 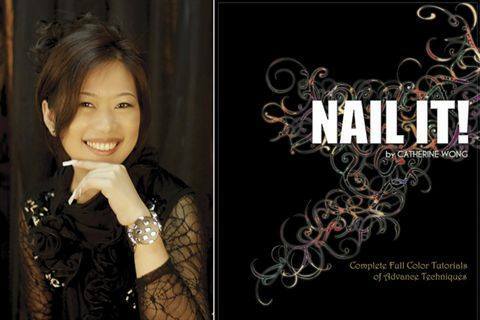 ($49.95) and NailQ Signature ($79.95) from www.nailsmag.com/store. 1. 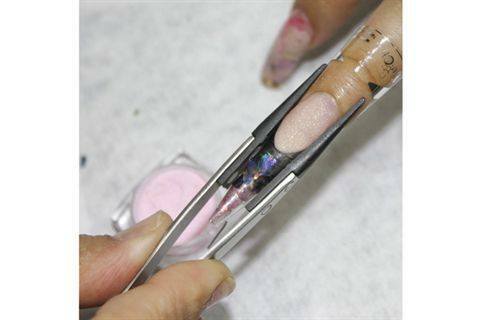 Elongate the nail bed with sparkly pink acrylic. 2. 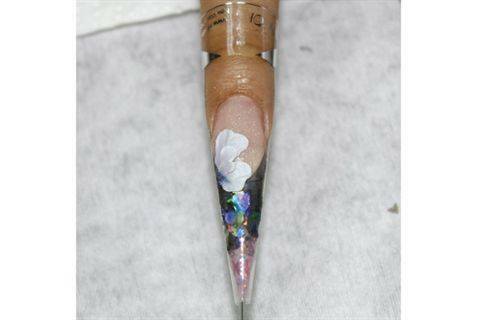 Extend the free edge with black acrylic to create a French smile line. 3. 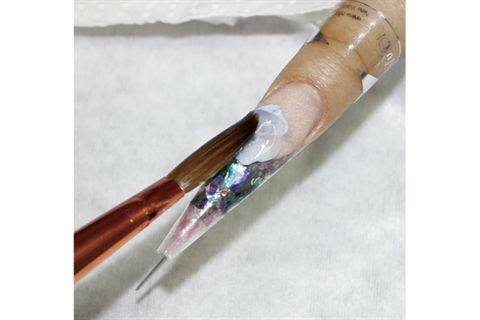 While the acrylic on the nail is still wet, pick up a small bead of clear acrylic on your brush, then pick up some Mylar. Place the Mylar on top of the black acrylic. 4. 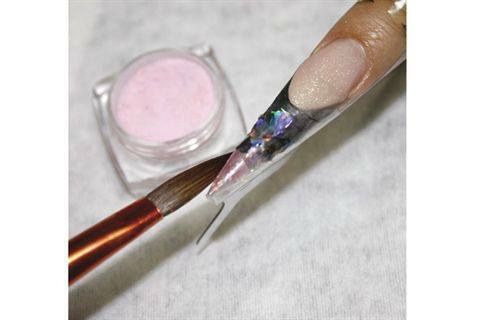 Extend the free edge more with pink glitter acrylic and shape it into a point. 5. Pinch the side walls to create the C-curve. 6. 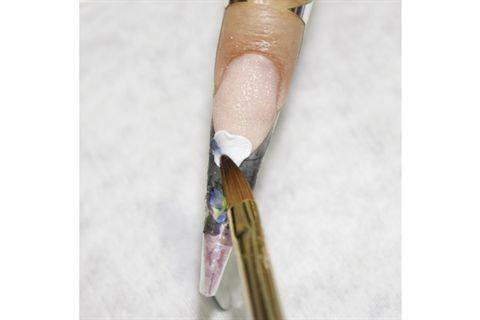 Using white acrylic, create the first petal of a 3-D flower. 7. 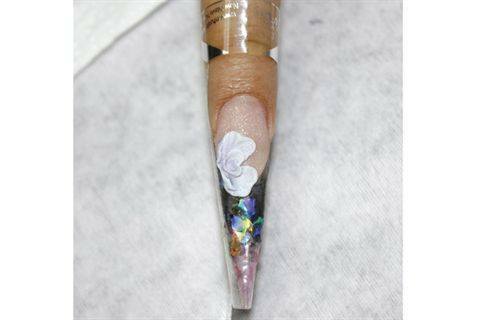 Add additional petals, as shown. 8. 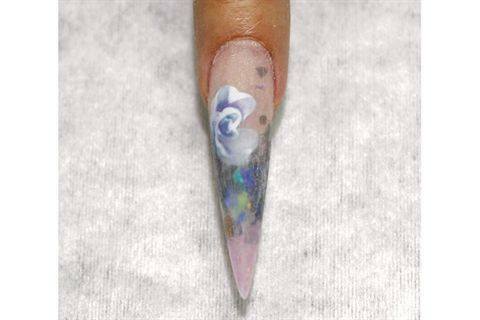 Add smaller interior petals, as shown. 11. 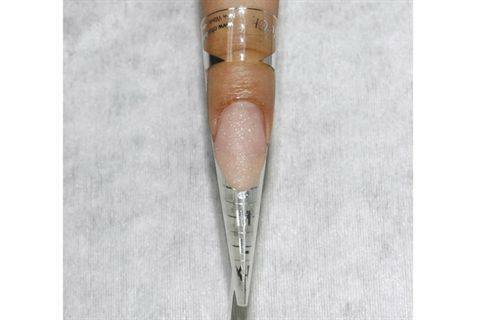 Cap the entire nail with clear acrylic. 12. 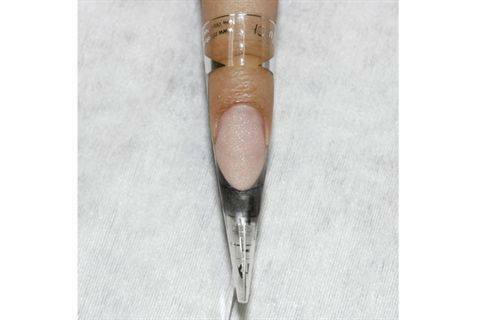 Shape and finish file the surface of the nail. 13. 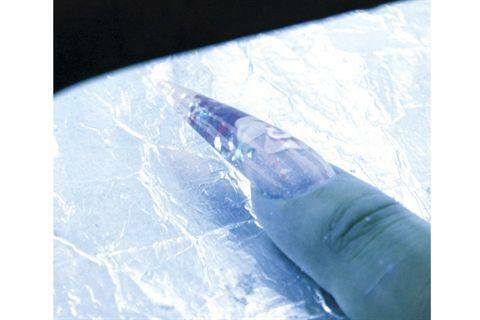 Apply gel top coat to seal the nail. 14. Cure two minutes to a shiny finish. 15. 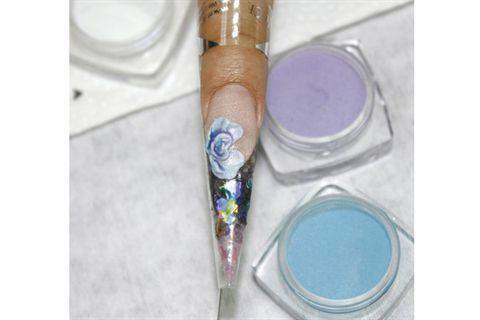 Alternately, to get a crisp and dry finish, do not apply top coat to the 3-D flower. 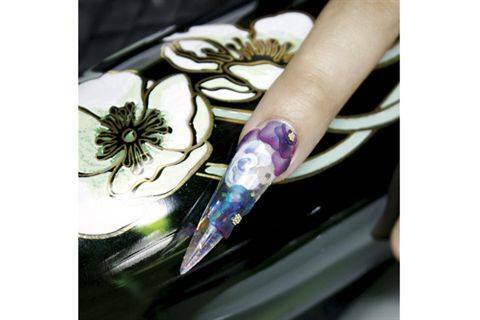 The contrast between a shiny base and a matte crisp flower creates visual interest. 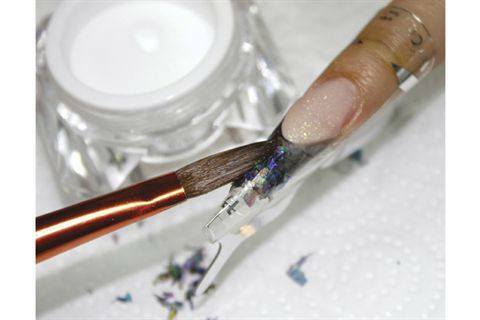 *Note: Transparent colored acrylic can be created with color drops in monomer mixed with clear powder or use ready-made acrylics with such properties.